The rest of the picks for the congestion pricing panel have been announced, and the membership does not include a lot of undecideds. Today, Mayor Michael Bloomberg named Gene Russianoff of the New York Public Interest Research Group and the Straphangers Campaign, Transportation Commissioner Janette Sadik-Kahn and civil rights attorney Elizabeth Yeampierre, executive director of UPROSE. For his three slots, Governor Eliot Spitzer chose former First Deputy Mayor Marc Shaw, Port Authority Executive Director Anthony Shorris and Elliott Sander, executive director of the Metropolitan Transportation Authority. Assembly Speaker Sheldon Silver, an opponent of the plan to charge people to drive in Manhattan, selected three Democratic members of the Assembly: Herman “Denny” Farrell, Jr., Richard Brodsky and Vivian Cook. From the other side of the Capitol, Senator Majority Leader Richard Bruno appointed New York Central Labor Council President Gary LaBarbera, SUNY Chairman Thomas Egan and Richard Bivone, president of the Nassau County Council Chamber of Commerce. Senate Minority Leader Malcolm Smith, who gets just one pick, appointed Gerard Romski, the counsel and project director of Arverne By the Sea. Council Speaker Christine Quinn has released her picks for the 17-member commission charged with reviewing Mayor Bloomberg’s congestion pricing plan. As some said yesterday and many before that might have guessed, the appointments seem to lean toward supporting the plan, which proposes to charge drivers $8 and trucks $21 to drive into or out of much of Manhattan. Some see this as another example of Quinn siding with the mayor – a trend throughout her tenure. Her picks are: Andrea Batista Schlesinger, executive director of the Drum Major Institute; Edwin C. Reed, chief financial officer of the Greater Allen Cathedral of New York; and Kathryn Wylde, president of the Partnership for New York City. Although Quinn gets her pick on who will serve on the commission, the City Council must also still vote on the matter. So far, according to a poll we did earlier this month, most council members remain teetering on the ledge. The Assembly’s Republican minority has also released its pick (Andy Darrell, regional director of Environmental Defense and a congestion pricing supporter), and Governor Spitzer could announce his as early as today. Although an unintended consequence of protecting the neighborhood from toxins plaguing Ground Zero since the September 11th attacks, the conditions inside the Deutsche Bank Building has felled two other firefighters at the World Trade Center. The Times urges the city, and the handful of other authorities and agencies charged with overseeing deconstruction, to ensure that no one else loses a life at the seemingly cursed building, and compels the agencies to also ensure toxins do not leak into the surrounding neighborhood once the building finally comes completely down. Unused express tracks along the F line in Brooklyn lay dormant, and some of the locals find this ridiculous. So much so, in fact, that two Brooklyn council members recently said that they would not support a fare hike unless the Metropolitan Transportation Authority opens the tracks up for use. While opposing a fare hike is not exactly politically risky, the move was a way for the council members – Simcha Felder of Borough Park and Dominic Recchia of Coney Island – to show they do not accept the transit authority’s explanation for not utilizing the tracks. As the city mourns and honors firefighters Robert Beddia and Joe Graffagnino in Saturday’s fire at the Deutsche Bank building, many are examining the circumstances of their death and wondering how the tragedy could have been avoided. A nuclear attack on the city undoubtedly would be deadly. But just how catastrophic would it be? A new report in the International Journal of Health Geographics breaks it down. The population density would lead to staggering casualties from a nuclear bomb in lower Manhattan. Geography, weather patterns and the distribution of health care facilities would also help determine how much damage would be wreaked on the region. Congestion Pricing, PlaNYC – but what about libraries? The recent decision to restore library service to six days a week is a major accomplishment that has been overshadowed, says Jonathan Bowles, director of the Center for an Urban Future. Instead, it “should be recognized as a landmark achievement for boosting the competitiveness of the city’s future workforce and improving the quality of life for untold numbers of seniors, parents, children and immigrants,” he wrote in a recent essay. But for all the praise he heaps on the city’s initiative, Bowles’ essay includes a less flattering comparison of the library hours of the 20 largest cities. While the expanded hours will bump New York up from last place, it will only advance to number 15 out of the 20, the center’s numbers show. The 45 hours per week the libraries will now be open is still also below the national average of 47. Community Voices Heard is lauding Governor Spitzer’s decision to sign the shelter allowance bill yesterday. The legislation, S.4329/A.7905 will increase the shelter allowance provided to public housing authorities serving families on public assistance, adding (by CVH’s estimate) $47 million in revenue yearly to the NYC Housing Authority’s budget, helping to close a $225 million budget deficit. Time magazine’s Brian Walsh is pushing for Americans to use less bottled water, and he likes Mayor Michael Bloomberg’s campaign to encourage New Yorker’s to drink tap water. He also applauds Food Network chef Mario Batali’s decision to serve only tap water at his posh New York restaurant. Among the reasons to switch to tap? Less oil for packaging and shipping, less carbon emissions and solid waste, and a need to address the perception that tap water is unnecessary – which is dangerous since our drinking water infrastructure is in dire need of investment, Walsh says. Many of the young residents of the community, though, bear scars from their previous lives. According to one estimate, as many as 80 percent of the people who fought in Liberia’s civil war were children. Assimilation has proved difficult for these young people, who were taught to kill, not to read and write. Detailing the struggles of these young victims with terrible memories, the reporter offers accounts of a hard life in a new country, as the immigrants struggle with their own violent outbursts and with bigotry from local residents. The apparently forced resignation of principal Debbie Almontaser had done little to silence the tabloid frenzy over the Kahlil Gibran Academy, a new city school focusing on Arab culture and language. 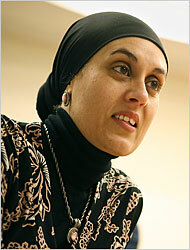 In fact the controversy seems to have gotten a second wind with the naming of Danielle Salzberg, a Jewish educator who does not speak Arabic, as interim principal. The school’s opponents, such as Daniel Pipes in the Sun, still want the school closed. In support of his argument today Pipes notes, “The school has only an interim, non-Arabic-speaking principal” – something he helped bring about. And he cites the “outspoken opposition of politicians such as Assemblyman Dov Hikind,” whose previous support for extremist rabbi Meir Kahane apparently makes him, in Pipes’ view, ideally suited to comment on this. 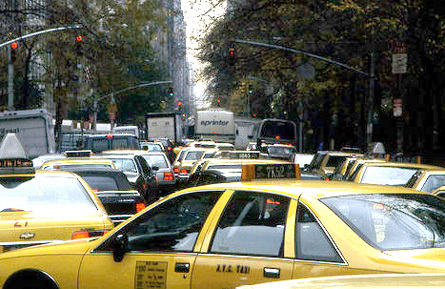 The city has moved closer to getting the federal money for congestion pricing that Mayor Michael Bloomberg and the New York Times so often cited earlier this year in trying to get the state legislature to approve the fee. But just as the congestion pricing deal agreed to in Albany last month was not quite what the mayor wanted, neither is the federal announcement. For one thing the Department of Transportation did not simply write a check. And for another, Washington is offering $354million – far more than the $200 million the state government said was needed to move the plan along, but far less than the $500 million Bloomberg thought likely. According to the Daily Politics, only $10.4 million is slated for the technology (cameras and so on) needed to implement congestion pricing “which means the city and state are going to have to kick in some cash in order to get the plan off the ground.” Otherwise the federal government sets aside $112 million for bus rapid transit projects, $213. 6 million for infrastructure such as bus depots and $15.8 million for ferries. UPDATE: Since the original posting of this blog entry, the office of the Attorney General has refuted the Sun‘s claims in a letter to that paper’s editor. As Representative Carolyn Maloney, Democrat from Manhattan, comes out in support of Governor Eliot Spitzer, there is new news from the scandal involving the governor, the State Senate majority leader and the use of state aircraft. Meanwhile, The Sun is back to the original investigation of Majority Leader Joe Bruno, though this time the attack is targeted at Attorney General Andrew Cuomo. Cuomo, according to The Sun, cited a nonexistent document when absolving the Senate majority leader (who is under federal investigation for other wrongdoing prior to this latest skirmish). Andrew Cuomo, who also has been called out for misuse of government funds, is a possible gubernatorial candidate for 2010. As the “choppergate” scandal drones on, the magnitude of the political capital at stake for all parties involved is becoming apparent, and it seems victors could be absent from this very political battle. In light of the New York City Housing Authority’s fiscal crisis, The News is urging Governor Spitzer to sign a bill that would give authority tenants a “fairer” subsidy compared to residents on public assistancein private buildings . Currently, they state, those in privately owned buildings receive nearly triple what authority residents get, which cheats the fiscally handicapped housing agency out of state funding. In additional thoughts on Spitzergate, the Post is urging the state’s Ethics Commission to conduct its deliberations in public. And The Sun sees Bloomberg’s recent comments on immigration as another reason for the mayor to “aim high” in his political future. Following the collapse of a bridge in Minneapolis and a pipe explosion here, infrastructure reports and commentaries – like what we posted today – have accumulated more steam than what might have been initially anticipated. 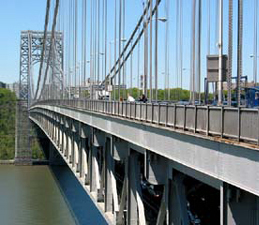 New York City Department of Transportation veteran, Samuel I. Schwartz, explains in an op-ed in The Times today that saving the city’s fragile network of bridges will take more than quick fixes and one-time repairs. Schwartz states that effectively managing the city’s infrastructure to increase its lifespan would be to conduct routine repairs annually. When City Council Speaker Christine Quinn announced the formation of a task force on middle schools last winter, it seemed the council wanted to take initiative on perhaps the most vexing education issue in the city – the generally sorry state of education in grades six through eight. The task force has now completed its work, and whatever the merits of its findings, it seems Mayor Michael Bloomberg and the Department of Education have largely taken it over. The announcement of the report today came from the mayor’s office and not from the council – as of 2 p.m. today it was not even on the council web site. The mayor praised the task force and said the Department of Education was already undertaking a number of initiatives to implement its suggestions including a $5million fund available to help 50 high-needs schools, providing Regents courses in middle schools across the city and creating an office of middle schools initiatives. Gerson was singled out by some blog commentators after Gotham Gazette posted its story on Monday for being the only Manhattan City Council representative to take a stance against the mayor’s plan to charge cars $8 and trucks $21 to drive into or out of most of Manhattan. His statement in full is posted on our message board here. While the councilmember said he opposed the mayor’s plan during an interview last week, he also expressed some of the other sentiments within his statement.